Few people would argue that aligning an organization’s talent strategy with its business objectives is a worthwhile exercise. But how many companies actually do it? Unfortunately, survey results show that historically few HR strategies successfully align and integrate with their business’s strategy. So fast forward to today, how are we in the HR/Talent Development field doing in 2016? How are companies addressing this critical issue? Each have taken steps to assure that the Talent Strategies they have devised with their team align as seamlessly as possible with the strategy of the businesses they support. Our moderator for the panel will be Laura McNerney, Chief Executive Officer of the Leadership Learning Group, LLC and ATD SCCs Co-Membership Chair. Leslie Glenn is the Chief Human Resources Officer at Remedy Partners, an innovative healthcare services and technology company. Remedy Partners specializes in “bundled payment” programs, a new payment model in healthcare that represents an important advance in the organization and financing of health care. Remedy was founded in 2013, is private equity backed, and has about 300 employees nationally. Leslie is an experienced Human Resources executive with experience across diverse industries and companies, including family-owned and start-up environments, as well as large global organizations. Prior to joining Remedy, Leslie was the Chief Human Resources Officer at Bonnier Corporation, one of the largest consumer-publishing groups in the U.S. Leslie also held Human Resource positions at Say Media, General Electric (GE), and Energizer Holdings. 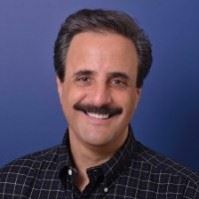 Mitch Podob is VP, HR, at Timex Group USA, as well as the current President of the Southern Connecticut Chapter of SHRM. Timex is one of the largest watch makers in the world, selling millions of watches each year under a number of well-known brands. At Timex, Mitch is called upon to consult regularly with senior management to create synergistic solutions for an organization aimed at enhancing all aspects of Timex’ HR operations. 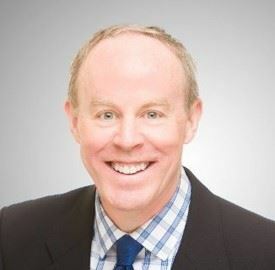 Previously, Mitch was the Manager of Human Resources for Connolly, the largest private recovery audit firm in the world specializing in financial auditing, consulting and payment error identification services that serve clients in the healthcare, retail, and commercial sectors. Prior to Connolly, Mitch’s professional background included extensive experience in the retail and consumer packaged goods industries with senior Human Resources positions in both Leadership and Organizational Development. Jim Daly is Executive Vice President, Chief Human Resources Officer, Affinion Group. In this position, Jim leads the Affinion Group Human Resources organization and directs the human capital strategy, including talent development, organization design, total rewards, benefits management, recruitment, leadership development, and succession planning for the company. He ensures that these initiatives help drive the continued growth and competitiveness of Affinion Group’s businesses worldwide. Jim brings a strong mix of Human Resources and general management experience to this role. Prior to joining Affinion, he was VP of Human Resources for Standard & Poor’s, and Principal and co-founder of the investment firm, Caydal LLC. Jim has also held various positions in human resources, and training and development for The News Corporation, Kraft, General Foods and American Express. He has also served on the boards of several start-up companies. Jeri Medrea brings over thirty years of experience to her role as the CHRO and Global Head of Talent Engagement for Liquidnet, the global institutional trading network. In this role she is responsible for overseeing global human resources, leadership development, and organizational development for the company. Since joining the firm in 2007, Jeri has developed a number of innovative and award winning approaches to employee engagement. Jeri also oversees Liquidnet for Good, the company’s corporate social engagement program that is designed to leverage Liquidnet’s resources to create local and global impact. 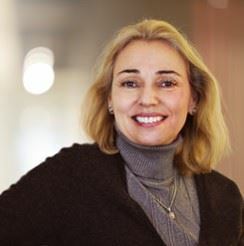 Prior to joining Liquidnet, Jeri was Director of Global Talent Acquisition at BearingPoint and Vice President of Global Human Resources for EMC/Smarts. 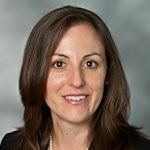 She has also held senior human resources roles at PepsiCo. Inc., PricewaterhouseCoopers and Champion International. NOTE: DUE TO CIRCUMSTANCES BEYOND OUR CONTROL, WE WILL BE UNABLE TO OFFER A LIVE WEBCAST OF TONIGHT'S PRESENTATION. WE APOLOGIZE FOR ANY INCONVENIENCE. To see our live webcast, copy and paste the link to view the event.